Student pursuing educational opportunities looking towards educational opportunities - academic or vocational - outside the country of their origin is called studying abroad - inclusive of Primary, secondary or post secondary education. A survey suggests that majority of students’ travelling to America enroll for full time college study abroad programs, whereas students traveling from America visit foreign countries for one or two academic terms only or join short-term study programs. How does it matter where you study abroad? Studying abroad is a very expensive and painstaking affair - and considering the reasons to study abroad which makes it more important to do due diligence as to which is the place that you prefer to study abroad. It has nearly become a trend where a lot of colleges and universities encourage their students to go and study abroad to experience and promote the globalized work environment. 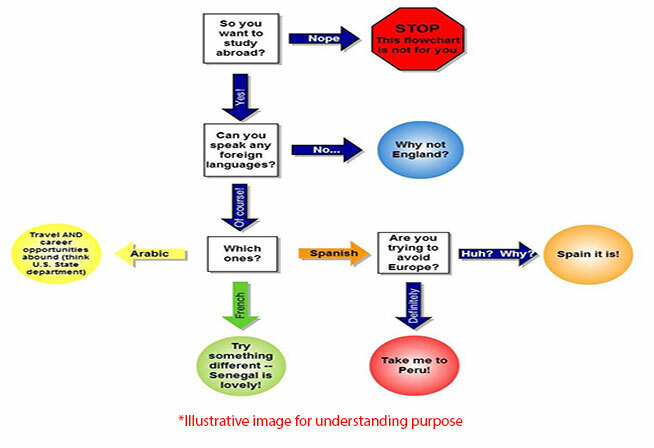 Still we would like to emphasize on the fact that students should think twice and carefully before making a final decision as to where is it that they would like to study abroad which is then followed with their thought process of either doing business or gaining professional values upon attaining the academic success. Upon further discussions with them - it evolved that most of the student chose study abroad destinations which sound fun to them and not the ones which they really intend to settle down with - or which they think will provide them successful job opportunities after study abroad. Hence the students are advised to practice utmost discipline and think over again and again before making study abroad decision. There are a lot of factors that would affect one's decision of study abroad including financials - career and many more; however a well informed decision would help you in a longer run - where employers would be more than impressed while hiring you with your experience in china as compared to someone else's experience in Italy. Why should I study abroad? What are the advantages to students who study abroad? It remains a fact that motivated individuals who are interested in leaving the comfort of their homes to study abroad have been successful in both professional and personal life. Study abroad benefits and challenges cannot be avoided. 93% said their study-abroad experience on their resume will make all the difference. 84% felt theirs was a standout resume due to the skills that they acquired abroad. 74% believed that the time spent studying abroad gave them a good exposure to their career path. 84% used it as main point of discussion while they were being interviewed at reputed employer's offices. 69% students who studied abroad got employed promptly post graduation. 71% of individuals who studied abroad are now in senior positions and managing others. Apart for all these, second language skills - study abroad internships - earn college credit abroad - develop cross-cultural interpersonal skills and many more benefits are waiting for those who are preparing to study abroad and ready to take chances. Conclusion is that individuals who study abroad - gain self confidence and hone their cognitive and interpersonal skills. It gives them that extra edge over their colleagues while they make their firm footmarks in professional world. No study abroad program is without risk and students need to be prepared well to make sure these experiences bring positive results. Study abroad programs are becoming increasingly attractive as more and more college students seek meaningful ways to spend college breaks or explore true diversity of cultures and living a campus life. As a result, an international study Proggramme has become more expensive and competitive. Speaking to students currently studying there is a better idea. Education consultant will be great help to advise you what is good for you and what is not. Preparing thoroughly for standardized tests including SAT ACT - TOEFL - IELTS is equally important and plan it well in advance giving you the opportunity for a retest; god forbidden if required. Start to have in place your student profile - project work - summer internships - extra-curricular activities - volunteer work. Individuals aware of the industry they planning to join helps them decide on choosing the people to build their network with for future aspects. Choosing the right kind of school - college - university imparting syllabus on your desired industry would be of further more help. Careful evaluation of aspects including syllabus - rankings - location - infrastructure - campus life - eligibility - scholarship - financial aid opportunities prove like miracles at the time of selection. We all know that USA and UK have been the most favorite destinations for all for studying abroad - but that is the past and the current changes in the economic run downs and changing political and diplomatic relations bring about a change in the belief of people. Knowledge of global issues and being sensitive to them are becoming more than mandatory for students of today. Their knowledge will help them select the destination and syllabus that can give them a smooth transition in tomorrow’s work force. 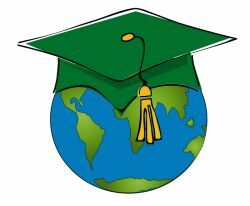 Take apt but thoughtful decision once you are done researching the right fit college - looking out for study abroad parent guide to make your parents feel comfortable - university to meet your goals - speaking to the college students you are taking admission to - finding out more about study abroad scholarship resources - consulting the education counselor there and many more things. All this is then followed with application documents including worksheets - essays - short-question answers - high school transcripts –credentials as requested by the college or the university and finally getting in touch with admissions committees of colleges who are always happy to help. Going to some other country - thousands of miles away from the home town and comforts of your day today life is a bit disturbing change to absorb for nearly everyone. Taking a flight with your passport and backpack may happen to be one of the scariest evolutionary moments in a college student’s life. Schoolanduniversity.com suggests and shows how one can take care of this agitation. One can do so by rigorous pre planning followed with pack light - pack smart rules. Here are some of them for the ready reference of all those travelling to study abroad. Do not pack more than what you need and you would not need more over there. Clothes that you aren’t wearing here are the ones you would not wear there as well...so do not take them along. Cardigans - tank tops - jeans with scarves, all these in neutral colors with mix and match - to meet all your requirements. It is the best thing you can do as the cubbies would be much more downsized than the ones that you have at your place. Seeking comfort and not cuteness is the sign of a adolescent, pick up shoes that are comfortable and easy to wear. Climatic changes are the ones which need more attention. I.e for students travelling from southern Spain experience summer in home town but would need jackets in London where they are travelling to study abroad. Ziploc bags or vacuum sealed bags to squeeze your stuff - better packaging. Do not carry all that you are emotionally attached with - you do not know the circumstances there and might end up losing or destroying things or clothes you are emotionally attached with. Just leave them behind you at your home for when you come back. Ensure you have studied the rules - regulations about weight/size regulations for nearly all the airlines that can fly you to your destination. It is required because it might be the case where one airline would be charging for a specific weight/size baggage whereas the other might be doing it free for you. A good pack is mandatory…it might look a bit tacky but the investment is worth. The ones with a chest and stomach strap will make your shoulders thank you for your decision to invest in such an aid.